Finding divorce law information and legal resources can be one of the most frustrating aspects of getting a pro se divorce. 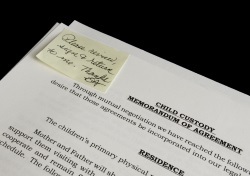 You need to understand the relevant divorce statutes to make your case, as well as be able to access the correct forms and tools which are specific for your individual state. Before you decide to proceed with a do-it-yourself divorce, you need to really consider whether you are mentally up to the task and whether you have the time to do all the research, fill out the forms, and file all the papers. Even though DIY divorce is tempting because it's a lot more affordable than retaining an attorney, it's not always the best option for every case. If there has been abuse in your situation, or if it looks like the divorce will be heavily contested due to a complex financial situation or custody battle, I strongly advise getting the help of an experienced divorce lawyer. On the other hand, if your divorce will be fairly simple and uncontested, then filing your own divorce might be an option to consider. If you decide to represent yourself, the resources below will help you access the tools you'll need in your divorce. State Divorce Resources - Here you can easily access divorce information for your state (including an overview of the relevant laws as well as links to the exact statutes). If you have children, you will also be able to locate the state-specific child support guidelines and calculators you'll need. There are also separation and divorce forms that you can order, as well as finding out about online divorce options for your state. Divorce Forms - While there are free divorce forms available on the internet, you need to be careful where you get them from. 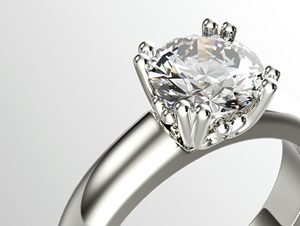 If you don't have the money to buy the up-to-date divorce forms or use the online preparation options from a reputable service, then I would strongly urge you to access the specific forms from your state's court website or check to see if they are available at the courthouse. Even though you can find other websites that offer free forms, there is no guarantee that they will be recognized or accepted by your local court system. I have listed the links to access the court forms in "The Ultimate Self-Help Divorce Kit" which is a bonus when you purchase Divorce 101: A Woman's Guide. Divorce Preparation Manuals - When it comes to the individual details of your divorce, you need to understand the implications of how your decisions will affect you not only now, but in the future as well. Unfortunately, many people overlook a lot of details when doing their own divorce and experience regrets afterwards. Take a little preventative medicine and get the information you need beforehand. In this section you can find specific guides on divorce, custody, support, alimony, separation, and more. The different books on property division are especially helpful because they target specific situations such as the division of retirement funds, what to do with the family home, how to valuate a business, and more. It's definitely worth checking out. Resources for Self-Represented Litigants: The American Bar Association offers an extensive list of resources to help people represent themselves in court. You will find links to self-help centers, legal aid services, law libraries, court websites, and more. 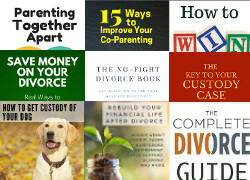 This is a great place to access the resources you'll need for a pro se divorce. Legal Aid Programs -If you are having difficulty proceeding with your pro se divorce, you might want to check out the legal aid programs available from LawHelp.org. They offer legal information and referral services for low-income individuals. Each state has a lot of information on family legal topics, as well as links to the services you may need. Directory of Lawyers and Legal Firms - The Martindale directory has been around for over 140 years, providing reliable information about attorneys and their practice areas, not only in the United State, but other countries as well. I like this directory because it's the most in-depth and complete resource I've found for locating a lawyer. It's worth checking out if you find representing yourself too stressful.